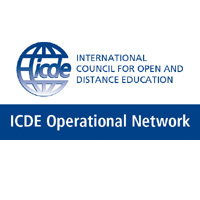 The Swedish Association for Open and Distance Education (SADE) is a professional organization for all those involved in open, online and flexible distance learning, including technology enabled learning (OOFAT) in Sweden. SADEs members are from the entire education sector, from K-12, to higher education, and also public education, businesses and the private sector are represented. With SADE you will meet people from all over the world. By SADE you can build a personal network and establish important contacts. SVERD interacts with a number of international organizations, such as the ICDE the International Council for Open Education and Distance Education, EDEN European Distance Education Network and EADL European Association for Distance Learning. SADE was founded in 1984, aiming to broaden knowledge and participate in the development of open, online and flexible distance learning, including technology enabled learning (OOFAT). SADE initiates experience sharing of experience, collaboration, and networking between members, and create open meeting places by organizing conferences, webinars and seminars, as well as other formal and informal meeting places. 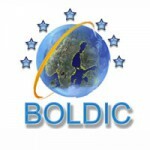 SADE also promotes international exchange, collaboration, and networking. SADE aims to stimulate and promote the development of knowledge in the field of open, online and flexible distance learning, including technology enabled learning (OOFAT), but also transformations due to increased digitization. SADE is also a referral body for governing bodies and actively participates in the current debate in the areas. SADE’s ambition is to annually organize a field trip to an exciting destination, where it advanced in the field distance learning and flexible learning. Sunderland in England and FernUniversität in Hagen, Germany are two examples of previous destinations. SADE organizes two annual conferences, one of which is the annual conference. The conferences address current and interesting themes that engage the members. • contribute to the development of the area monitored in governing body. SADE has coordinated the BOLDIC project for more than 10 years, A project funded by the Nordic Council of Ministers on Best practice on OER in the Baltic countries. As a member of Sverd you get discounted fee at our conferences, and also for the International conferences, organized by our collaborators..
SADE issues a newsletter (in Swedish) in the form of SVERDnytt (SADENews) two times a year, where current articles about open, online and flexible distance learning, including technology enabled learning (OOFAT), and other current information, from Swedish and international conferences. SVERDnytt also invites members to address issues related to learning, teaching, and educational project activities in the area of ​​fopen, online and flexible distance learning, including technology enabled learning (OOFAT), as well as research, etc. As a member of SADE you will get SverdNytt newsletter four times a year. 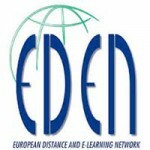 Here you can read articles about distance learning and flexible learning. You get reports from Swedish and international conferences. SverdNytt also gives you the opportunity to raise issues of concern about the teaching, research, etc. We welcome you as a member!